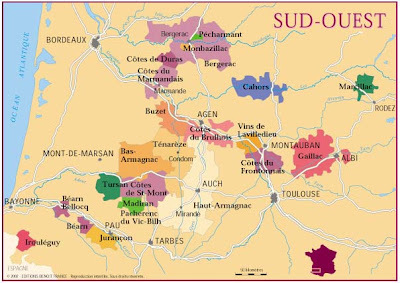 Bearn is an appellation primarily known for its reds and roses, which account for the majority of its production. 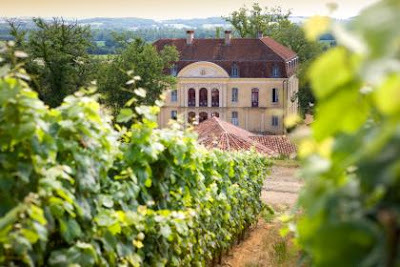 The wines produced here, as in most of the south west corner, are only produced in small quantities and are rarely found outside France. 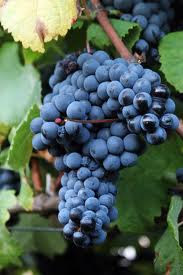 The appellation uses and produces six varieties of red which include: Tannat (up to a maximum of 60% of the final blend), Cabernet Franc, Cabernet Sauvignon, Fer, Manseng Noir and Courbu Noir. The last two varieties are nothing more than relics of the past and continue to be grown in a grape conservation. Like the wines of Bordeaux, the wines of the Bearn appelation are blends of these varieties, with Tannat, Cabernet Sauvignon and Cabernet Franc dominating. The reds made from these blends are aromatic and full bodied when the blend favours Cabernet Franc or Cabernet Sauvignon, and tannic when the blend favours Tannat (hence the name). Generally, red Bearn wines fill the nose with ripe berries and dark fruits of blackcurrant, raspberry, cherry and plum, with hints of menthol, spice, smoke and tobacco. 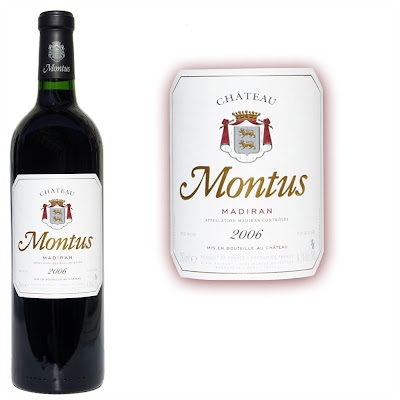 Powerful, full-bodied and fleshy, these reds have impressive firm tannins which are nicely balanced with the intense fruit and spicy flavours. These reds should be enjoyed two to five years after bottling and are traditionally served with grilled, stewed or roasted meats and croute fleurie cheeses (cheeses with a white or golden mould). The Jurancon circuit I did. Really liked Chateau Jolys and Domaine Larredya. Nestled in the foothills of the Pyrenees, Jurancon is a historic appellation known for its white wines. 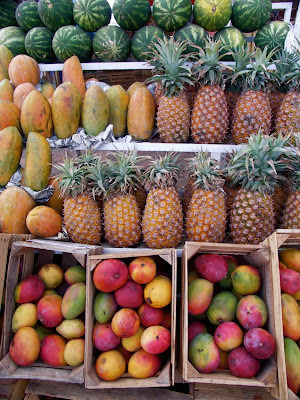 The grape varieties used here are Gros Manseng, Petit Manseng and Courbu. 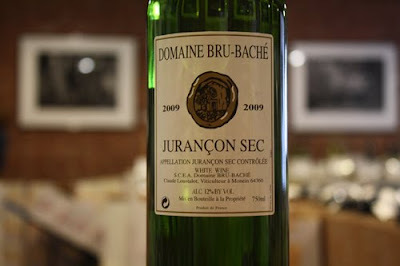 It produces two types of wine: Jurancon Sec, which is basically a dry white table wine. It isn't exactly a top drawer candidate for collecting, however, there are some fine dry Jurancons out there, but there are some lousy ones too, so its dangerous territory. The second, more sought after, type of wine made is known simply as Jurancon and is quite a different story from its dry counterpart. 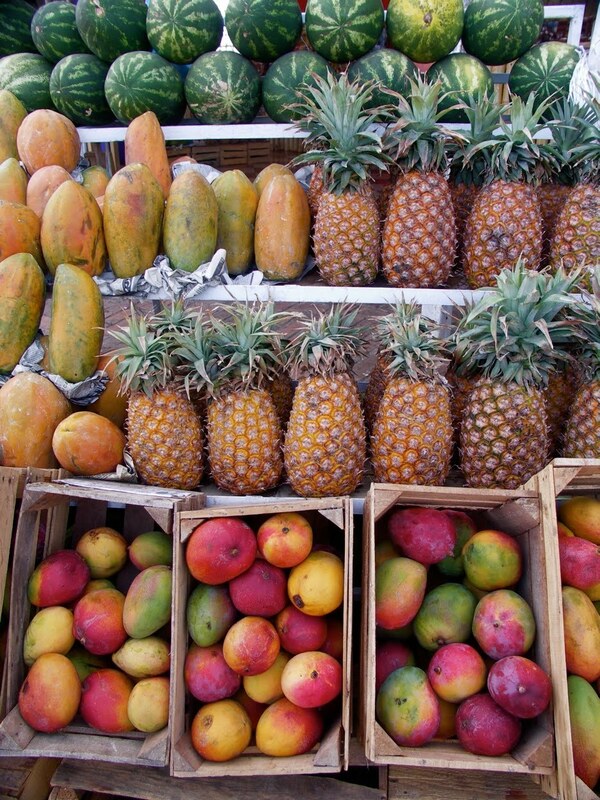 This golden coloured sweet dessert wine is long lived, which means it will last for a long time and improve with age, and develops aromas and flavours of honey and crystallized tropical fruits such as pineapple, passionfruit and mango. It has a relatively high acidity, typical of the Gros and Petit Manseng varietals, which is needed to keep the wines from becoming too jammy and overly sweet. The relative proximity to Bordeaux may explain the wine's similarity to Sauternes, the dessert wine of Bordeaux. 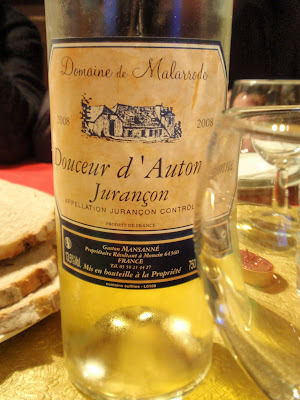 A fine dessert Jurancon is like a Sauterne on a wildflower high – the wine is lush, sweet, and flowery with a wonderful undercurrent of prickliness. Enjoy this wine with a triple cream blue cheese and a crusty baguette. Some noted Jurancon producers include Jolys, Domain de Bellegarde, Gaillot de Rousse, Bordenave, and Larredya. 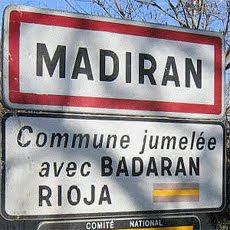 Madiran is a sanctuary for robust red wine whose main grape variety is Tannat. Which, like Bearn, makes up to 40-60% of the wine, and is supplemented/blended with Cabernet Franc, Cabernet Sauvignon and Fer. The wine is typically very concentrated, high tannin and traditionally requires several years of aging to be at its best. 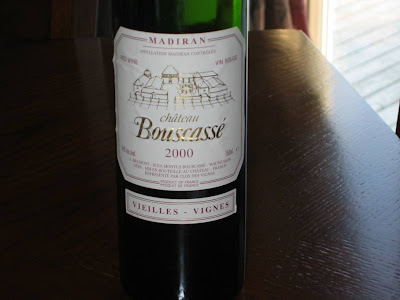 The style of really good Madiran is not unlike that of high-end Cabernet Sauvignon dominated Bordeaux wines. However, recently some of the younger generation of winemakers have been experimenting with, and producing, wines which are softer and more approachable in their youth, mirroring a similar tendancy in Bordeaux and elsewhere. Typically dark purple in colour with an inky core, these bold, intense and richly concentrated wines have aromas and flavours of ripe blackerries, dark cherry, cassis, fennel, leather, earth and hints of clove, spice. Almost chewy, these wines stick to the palate, but also show finesse with firm but fine tannins. These wines have great aging potential. The wine is traditionally served with duck confit, a perfect strong terroir based match. Duck confit, for those of you who are unfamiliar, is made from duck legs which have been salted and then cooked in duck fat. It's consequently, as you'd expect, both salty and fatty which sounds unappetising but the meat develops a wonderfully rich flavour and fall-apart-texture that makes it quite a delicacy. The effect of this saltiness and fattiness also has the effect of subduing the tannins in the Madiran wines, making them taste softer and more supple. Some of the leading producers in Madiran include Chateau Bouscasse, Chateau Montus, Chateau Peyros Madrian, Laffont Madrian Cuvee Erigone.